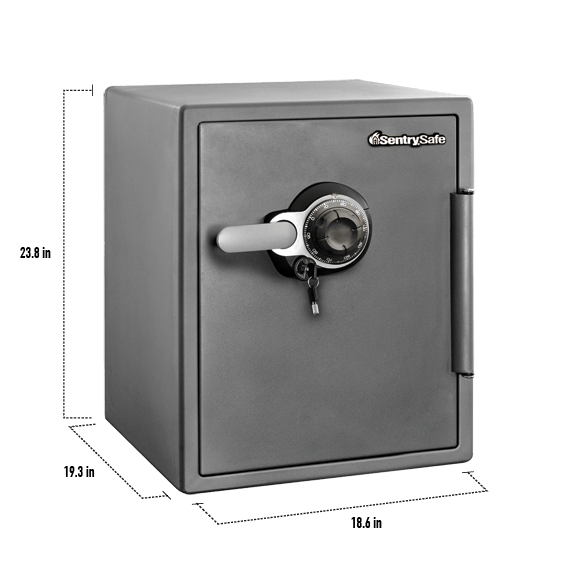 SFW205DPB Combination Fire/Water Safe is rated 4.0 out of 5 by 6. 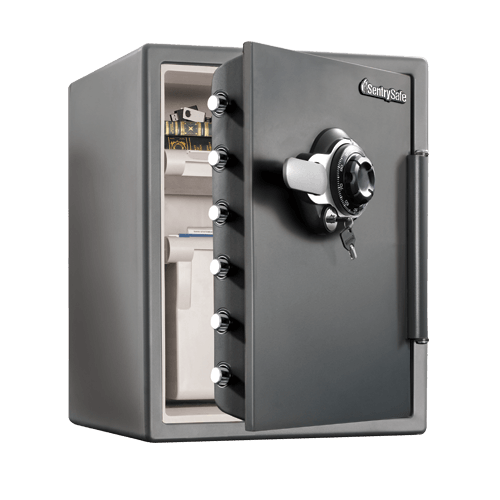 The Combination Water and Fireproof Safe SFW205DPB provides reliable protection for your important documents, digital media, and other valuables. 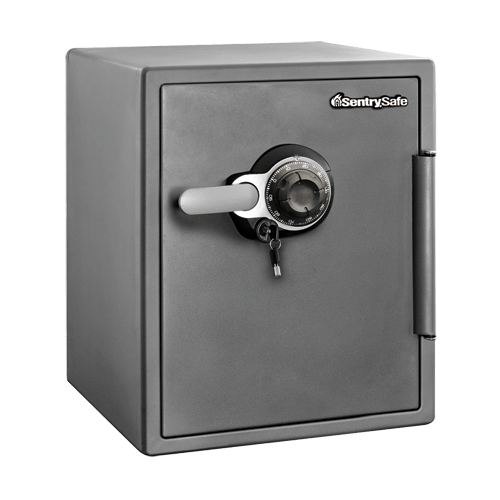 Feel confident that your most important items are protected with solid steel construction, dual combination lock with key, and a pry-resistant hinge bar. 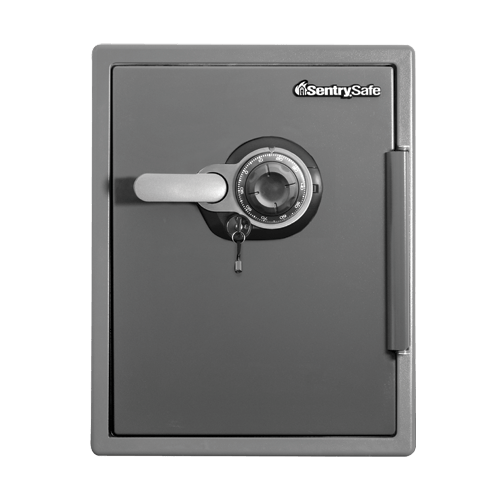 Rated 5 out of 5 by dallen001 from secure and roomy This is my second Sentry Safe. Loved the first 1.23cf Combination Fire/Water Safe but needed larger safe that I can better organize and my important things. Rated 4 out of 5 by chuckleberry from well built Nice safe plenty of room for storage for documents and various other important items. I would have given it a five but the dial feels cheap and flimsy. Rated 5 out of 5 by Jim36022 from Worth its weight Delivered in perfect condition. Good directions for setup and use. Provides all features I think I need in a safe.